Ruskin Lodge Care Quality Commission rating - last rated 27 March 2018. 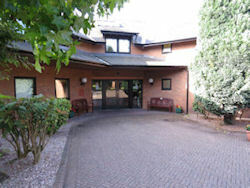 Purpose built, this respite care centre in St Helens, England, offers care for up to 22 people. Care may also be available for relatives of Pilkington pensioners and employees. 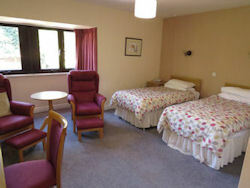 Care is provided in high quality accommodation consisting of 19 bedrooms - 16 single and 3 twin rooms. 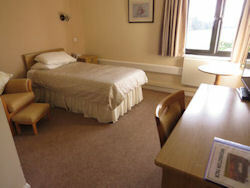 Rooms have a telephone, television and private toilet facilities. 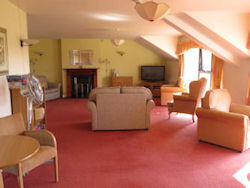 Bathrooms, with facilities for assistance if required, are located near the bedrooms. Dependent on the level of care required the facilities of Ruskin Lodge may be available no matter which part of the country people live. 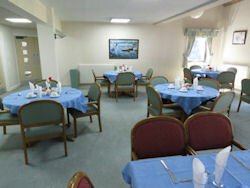 Ruskin Lodge is now open to private guests as well as Pilkington pensioners. For details of the charges and how to make a booking please contact either Linda or Pauline on 01744 20010. 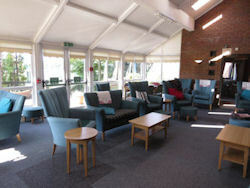 If you would like to spend a few minutes watching a visual tour of the lodge, please click here.